Why the Turn Towards Gritty Realism In Epic Fantasy? Authors Sound Off! With the runaway success of George R.R. Martin's A Song of Fire and Ice, even epic fantasy has toned down the sword-and-sorcery, and ramped up the gritty realism. At NYCC's "Winter is Here" panel, Brandan Sanderson, Peter V. Brett, and other authors offered their theories. Top image: French cover of Peter V. Brett's The Warded Man. The Tolkien movies came out and they did wonderfully well... And Hollywood, being Hollywood, said, "Fantasy is hot right now," and put out a bunch of fantasy films that weren't very good films. Then they didn't do very well, so they said, "Well, fantasy isn't hot any more." You mature, and you want to do your own thing. Many people have tried to build upon the high fantasy foundation and watered it down, and it got less interesting. 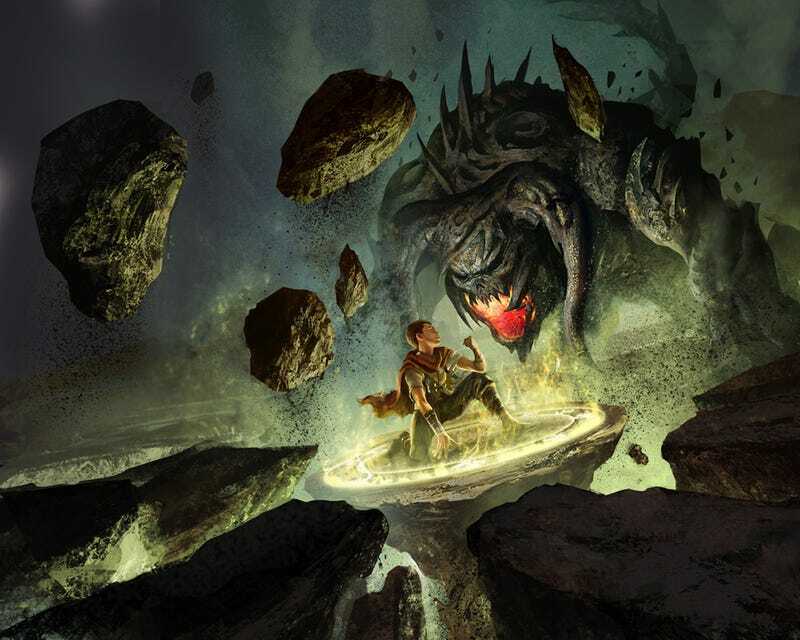 The new crop of fantasy writers are the people that read all that stuff and while they enjoyed it, they're also kind of tired of those aspects and want to do something new and want to create a new magic system. Because the old grey-bearded wizard in the robes with the staff is boring now. Horror movies, before about 1975, were mostly guys in rubber suits. And after 1975, we started to see buckets of blood and viscera and intestines all over the place. I had a professor in college who said was the Vietnam war. People had seen all this on television and they didn't believe the guy in the rubber suit any more. Certainly, the last 10 years of television have shown us all kinds of horrible things in the most hardy, realistic fashion, so that's what we're demanding now from our myths and legends. People want to have more of a connection with characters than just watch them have swordfights and do all that sort of stuff. They want to know them. They want to know what they're thinking. "Historically, we see a lot of really hopeful, almost twee fantasy in times of economic hardship. And boy, are we ever in a time of economic hardship. It'll be interesting to see if this continues or if we're going to go into a different cycle.